So let's do a quick recap of what went on here. First of all, we have our htaccess file which takes the URL from the browser and rewrites it to point to index dot php but it passes a query string that includes the path to the page that we want to get to. Then that loads our index dot php file. And we include some functions, we specify what our path is, we build our featured_product_output, and then we include our page and our page file which is in our pages folder includes two variables right now. 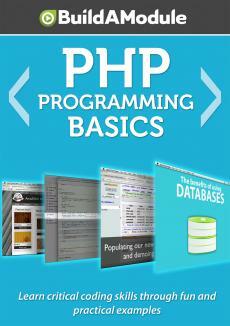 If we go to the home dot php file, it includes the title variable and the content variable. So at this point in our index php file nothing has been printed to the browser. If we stop there, the page would be completely empty. But as a final step, we include our page template file which is in our includes folder and that includes all of our HTML and then takes those variables that we created beforehand and inserts them into the content at various places. Now, just to step back a little bit and explain why we include these functions dot php file at the top, before when we had a header dot php file all of our functions were included in that file.